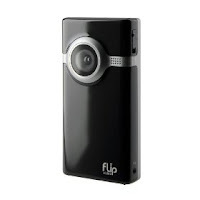 Flip Video Mino Series Camcorder, $159 at Amazon. You're seriously missing out on my YouTube video blogging possibilities. This would take me to the TOP.